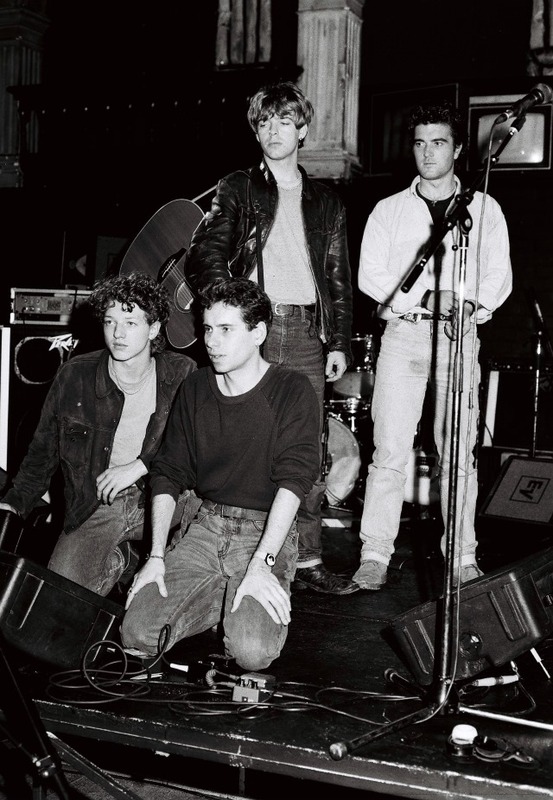 There She Goes, Timeless Melody & Way Out were written and the standard La’s set, starting with Son of a Gun and ending with Looking Glass was formulated – eventually securing them a major recording contract and exposing them to the wider World. This album is a must not just for La’s completists but for fans the world over and reveals a fresh and fertile period when the band were still white hot. NOTE: In conjunction with it’s release, The Viper Label/ Redhouse Originals is also pleased to present an Photography exhibition of recently discovered La’s photos taken by photographer Jake Summerton during 1987. The Florrie, Liverpool 14th September – 7th October, 2017. Redhouse Originals Gallery, Harrogate 14th October – 28th October, 2017. 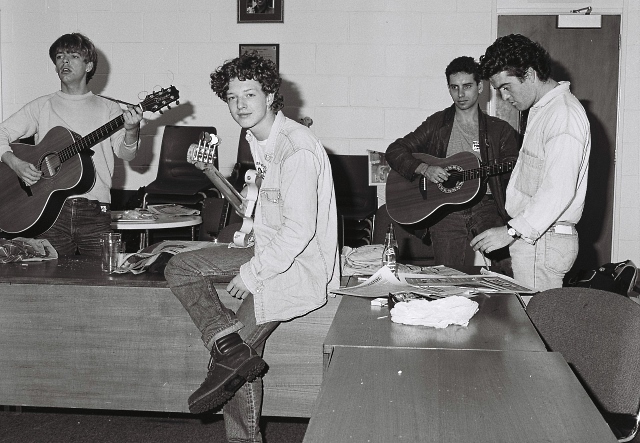 Above: Left to right: Lee Mavers, John Power, Paul Hemmings, John 'Timmo' Timson. Above: Front: Left to right: John Power, Paul Hemmings. Above: Rear: Lee Mavers, John 'Timmo' Timson. Could be interesting. The Way we Came! Not much new on it. Redhouse will have a full announcement tomorrow. Saw this on Facebook. I like the idea of having something that isn't just the album on vinyl..
After reading Macefield's 2003 book I'm not going to assume any Viper releases have been approved and agreed to by Lee until I find out otherwise. (Late but just finished the book, first edition). In spite of what Badger had to say in his book about he and Lee having an agreement and what the split is, I don't have any way of knowing what is true. It bothers me that Tears In The Rain is on one of the albums as well. Sure, it's possible they did come to an understanding about some or all releases and things are better now. The same goes for Universal. Knowing how Lee feels I find it hard to believe he would have signed off on collection releases with them. I just don't think I'll buy anything until I found out. The thought, possibility of Lee being taken advantage of actually has me livid. Last night I dreamed I tipped off a lawyer/solicitor to check it out. The interviews that provided material for the book are 15 years plus now.. I assume you're making assumptions.. Very few people would know where the working/personal relationship between Mavers and Badger is at. Purchases made from the Universal label catalogue do result in payment to Mavers, in some form, eventually. The exhibition, which opens at The Florrie in September, will also include original handwritten lyrics, set-lists and ephemera, which will going on public display for the very first time. The collection then moves to RedHouse Originals, Harrogate in October. 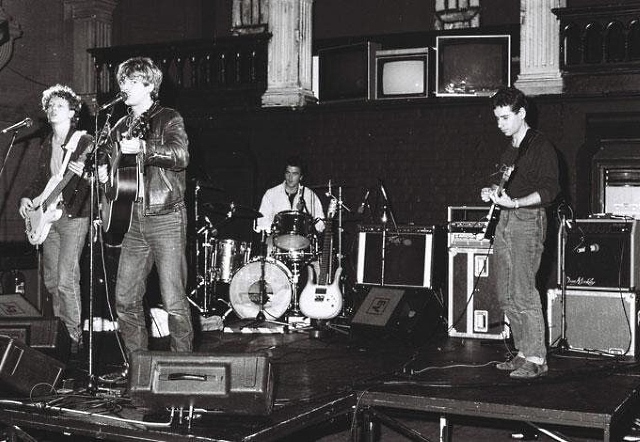 Above: Left to right: John Power, Lee Mavers, John 'Timmo' Timson, Paul Hemmings. Pre-ordered the vinyl & Cd. Tony wrote: I like the idea of having something that isn't just the album on vinyl.. I didn't realise The La's - Lost La's 1986-87 had a vinyl release, too. Did you pick this up when it was available? No! Flew under my radar (or I wasn't interested in a vinyl release at the time, although I think I'd remember). That's the superior Viper release for me vs Breakloose. Well it is the best version out there. Ming-8L wrote: Edit: Syl: Post removed at the request of the poster. Erm, what experience? Lee hasn't been involved in any of these releases - you're misinterpreting what you've read on that website.